Can you believe there was a time when people had to dive to the bottom of the ocean in order for folks like us to use gloriously squishy and soft sponges? It seems like a lot of work but we're sure it was worth it. What else were people supposed to use, washcloths? Boring. Plus, there's nothing like a sponge to help apply makeup perfectly. Sure, back in the day when people were diving for sponges makeup was basically pure lead paint. Not something we'd like to use these days. But now we've got creme paints that would make the thickly painted Court of Versailles faint with jealousy. And while we can't give the modern era of manmade sponges all the credit, we sure think they help! This is exactly what it looks like; a high-quality sponge that will ramp up your makeup repertoire. It has a nice squeeze, giving you control and finesse when working with wet, liquid makeup. 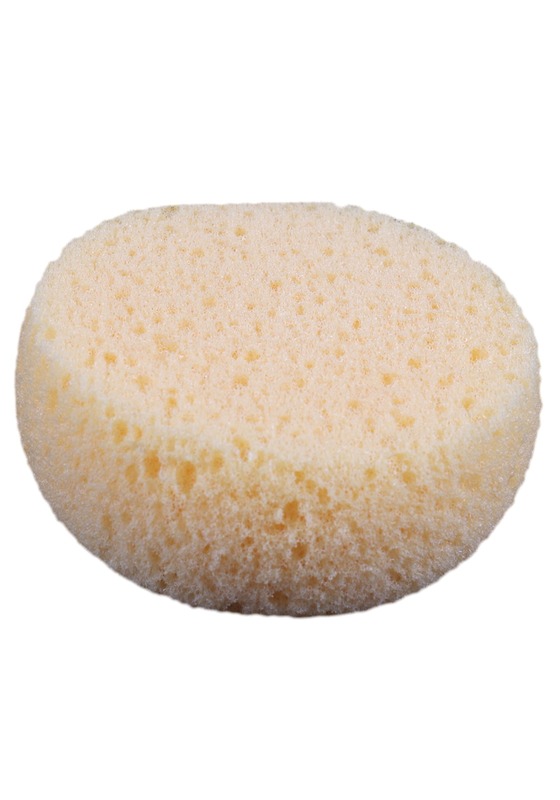 To use, simply dampen the sponge before applying makeup. After your gorgeous look is complete, simply wash the sponge with soap and water to make sure it's ready for use next time. Whether you're new to the face painting game or you're the guest mimer at Annual International Mime conference in Denver, you'll be glad to have this reliable sponge in your repertoire!